Before this year, I had little interest in purposeful training on the bike, preferring instead to simply wing it and ride harder if I wanted to improve my cycling. But at the beginning of summer I was hit by a sudden urge to train (strangely enough it coincided with entering the Red Hook Crit in London!) and what followed was a fast track course in power and heart rate assisted training, led by James at High Rise Coaching. I’ve explained a little about heart rate training for cycling here and may well revisit that topic in greater detail in the future, but just briefly, I’d say I found it very effective but it has its limitations too – the monitor can be slow to pick up an increase in heart rate for instance, so if you’re doing ultra short high intensity interval training it can be tricky to work with. I also found that it was extremely hard to get my heart rate up into Zone 5, no matter how hard I was trying, so I was keen to reexamine how I was training and try something new to keep myself motivated. 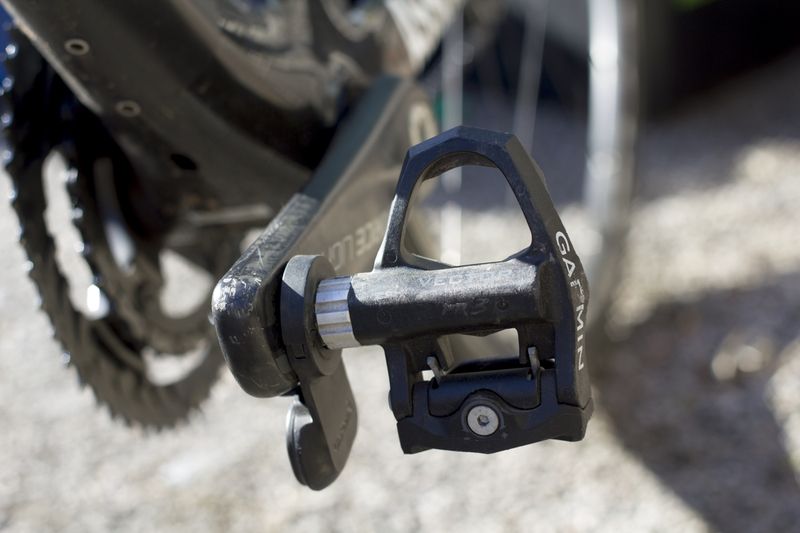 I’d heard from James that working with power was really effective and I was keen to give it a go and see how it suited me, and looking over the various power metre options available commercially, I felt that the Garmin Vector 2 power pedals would be the easiest adaptation to my bike. Like the other power meter options such as cranks and rotors, they’re not cheap by any means, but at least they looked easy to install and set up and they measure each leg individually, something I was curious about as I’ve always felt my left leg is weaker. They’re Look Keo compatible, which is handy as that’s what I’ve been using. Straight out of the box, you simply screw the pedals in, adjust to the correct torque and then attach the pedal pods using a small allen key. The whole process takes just a few minutes. 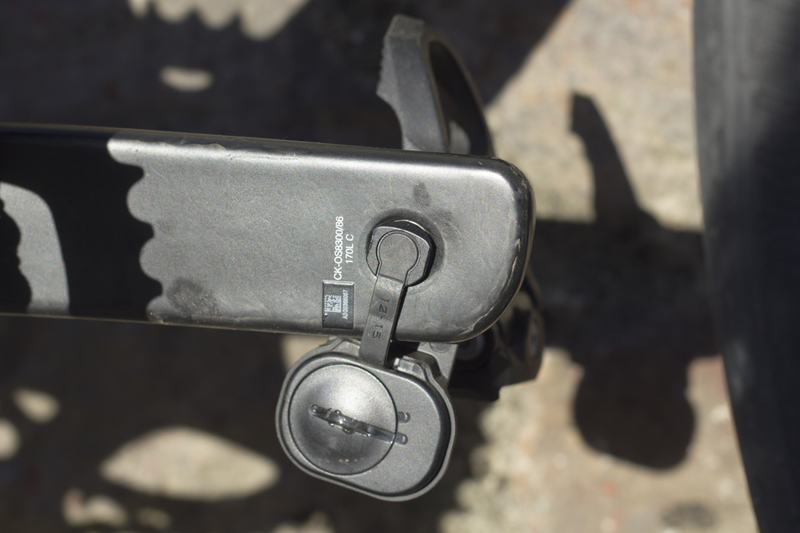 The next step is to pair the pedals with your Garmin (I use the Garmin Edge1000) which again, is pretty straight forward – just go to Settings> Sensors> Add Sensor and then select the device. then pedal at around 90rpm when instructed to do so and your pedals should be reading power. Each pedal pod has an LED that flashes a certain number of times depending on what it’s trying to tell you, which could be that the pedals are pairing with each other, pairing with your cycle computer, running out of batteries or whatnot. In order to be able to view detailed live data, the next thing to do is to set up the relevant data screens on your Garmin device. On my home screen, I added a box for the power average over 3 seconds, and one to show the power zone I’m in. In order to be able to view more detailed live data I then added the screen. And with that all done, I did a functional threshold performance test to determine what kind of watts I average over an hour, which I then used to set up my own power zones that I could use for training. I also performed a test to see the maximum power I could generate – useful, as I’d be able to directly see whether I was getting stronger. Well using the pedals in their most basic way, to measure what power I was putting out was actually very useful, and working with James I was able to program power zone based workouts into my Garmin which would then beep furiously at me if I was riding pushing too much or too little. I did find staying in the correct zone quite a challenge, possibly due to my erratic pedaling and the crazy hills in Devon but also maybe because the power pedals are so sensitive. To counteract this, I found it useful to work with the 3-second average reading rather than the straight up live feed which jumped all over the place. When it came to the more advanced capabilities of the Garmin Vector 2 pedals, well it all became a little overwhelming. The sheer amount of data they read is impressive – for each leg you can compare at what point in the revolution of your pedal you generate peak power, where you start and end your effective pedal stroke, the pressure you exert laterally and all sorts of other things. Which is all interesting up to a point, but it’s quite hard to get the most out of that data if you haven’t a degree in sports science, a lot of time on your hands to read up on it or an ultra high level performance coach analyzing it all and giving you feedback and workouts to improve any technical deficiencies or inherent weaknesses. Looking at the data did make me realise I’m a little better a pedaling with my right foot, but that kind of thing is not uncommon, and not really the end of the world, so if I were to buy a power metre, I could perhaps choose a cheaper model without the ability to measure each leg individually. In conclusion? 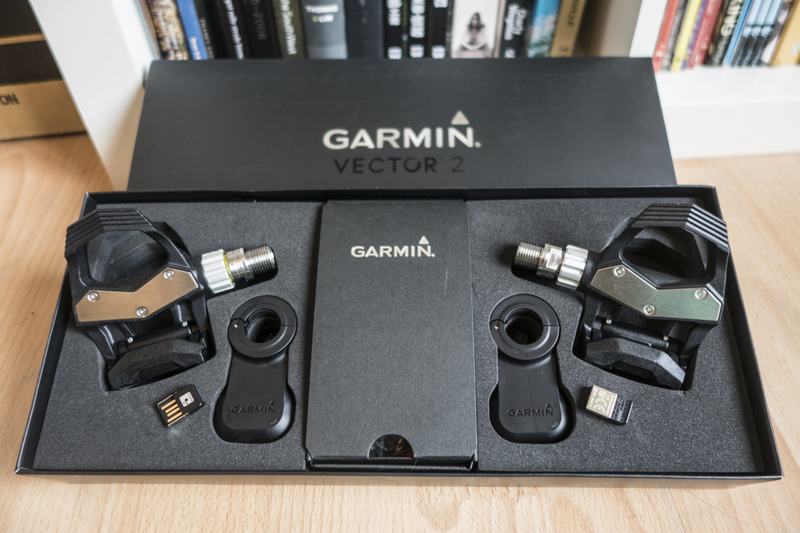 I found the Garmin Vector 2 pedals fun and interesting to use and I really enjoyed working with power, but without any help, I found it hard to get the most out of all the detailed data. It was an interesting novelty to see the left/right split and made me focus on pedaling more efficiently with my left leg. They weren’t without their glitches, which is a shame for such a high end product – more than once, I tried to set off for a ride only to discover that my computer wasn’t reading the pedals, and I had to fart about for ages trying to get them to pair, adding and removing the pedals from the System menu and eventually taking one of the batteries out and putting it back in – that was a bit annoying. Other than that, I really liked how easy they were to install and that you don’t need to change a bigger component such as a crank or a cassette. .Previously Where have I been and what have I been doing?